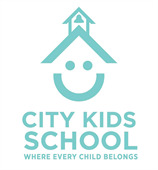 Welcome to City Kids School! Please provide your information below to complete your Online Application. Once all the information is submitted, the application and material fees will be processed within 2-3 days. Application Fee: is per student and non-refundable. Materials Fee: is per student and non-refundable. Tuition payments are due and automatically withdrawn by the first of every month, August through May. If the 1st falls on a weekend (Friday-Sunday) or holiday, you will be charged the following business day. If payment is not received by the 1st of the month the responsible billing party will be notified. Failure to make a payment by the 5th of each month will incur to a $35 late fee. City Kids School requests that families use the ACH (e-check/automated clearing house) payment method for 10-month installment plans. Credit card payments remain an option for 10-month installment plans. American Express is not currently accepted for tuition and fee payments. In the month of August, no refunds will be given for withdrawing after the 15th. No refunds will be given without a thirty (30) day notice, and no refunds will be given after April 30th.